What is a Draft Kit? What is the Super Bowl Props Game? 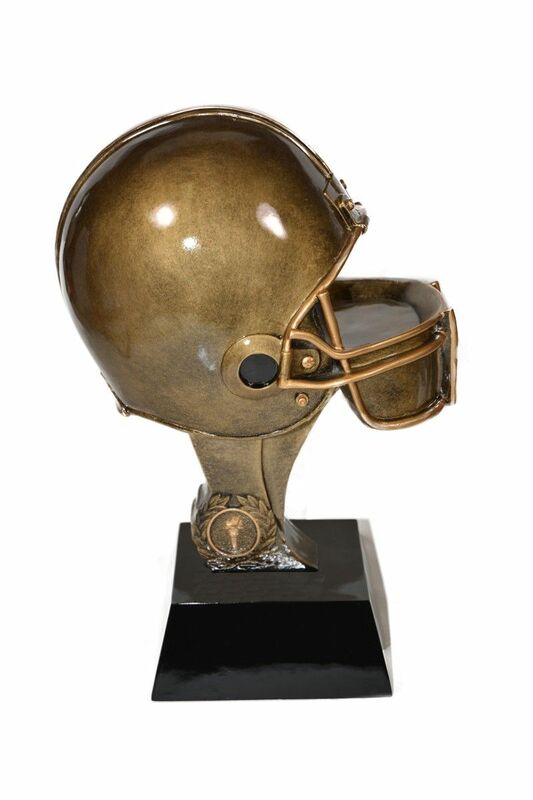 The resin football helmet trophy stands 8 inches tall. The trophy comes with a customized plate on the front with your League Name and any other information you want. 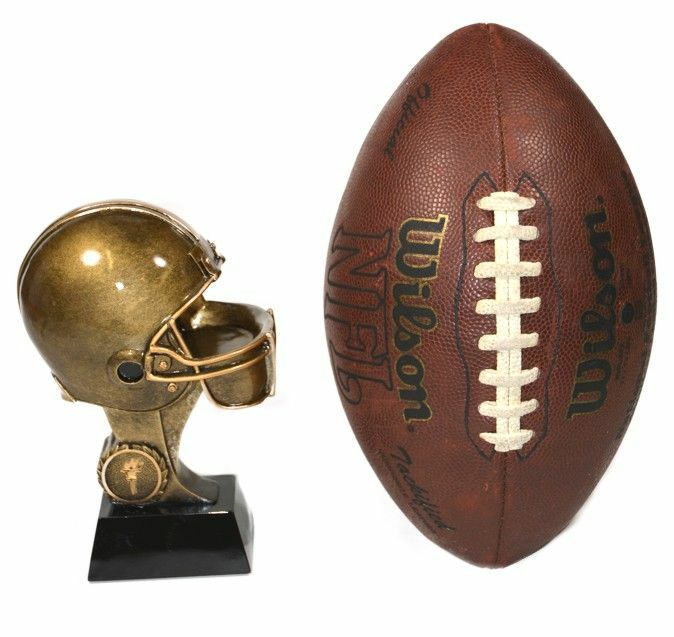 The 2nd picture shows this trophy in front of a regulation size football for size comparison. In 2018 we sent 189 free Draft Kits to military personnel serving abroad!